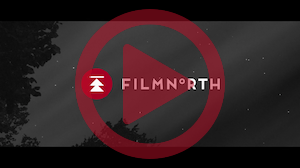 Sixteen recent short works by Minnesota filmmakers have been chosen for a new season of MNTV. An important showcase that has been funded by the Jerome Foundation for more than two decades, MNTV has evolved into an annual series produced in collaboration with FilmNorth, Twin Cities PBS, and The Walker Art Center Film and Video Department. The new MNTV season will be broadcast state-wide on the dates below, in addition to being streamed online by TPT. The Walker will host a screening of both programs on August 3rd. More details soon! On the day that filmmaker Francois Truffaut died, I was a model for a Retinal Photography class. This short combines direct film and mixed media animation to tell a simple story about a distant kind of loss. Dreaming with Lola is about the duck farmer Khaiti Hallstein who follows her dream of owning a small farm after her mother’s death. She is driven by a desire to have a voice in food production and find her true calling. Set in the circle of the seasons, this piece is a portrait of a farm farmed by Hmong American farmers. In Uganda, being gay is illegal. Members of the gay and transgender community face discrimination, violence, arbitrary arrests and forced evictions simply because of who they love. But there is hope. These are the voices of gay and transgender Ugandans. This is what love means to them. A young woman’s journey of reclaiming her name that she was born with after a year of using an English name. A Tibetan grandmother living in a refugee settlement in India reconnects with her granddaughter in the U.S. by passing down her possessions before dying. Dreamlike sequences are interrupted by devastating realities of Chinese occupation and struggles in exile. An American-Russian family is torn apart by a secret. Their only son‚ Viktor, grows increasingly close to his beloved Russian grandmother. Only grandmother ‘Zoya’ knows his secret and is ultimately the one who speaks his truth. A man coming out of a downtown restaurant at night is followed. A hand-drawn series of faces undergoing capricious transformations; an exploration of the uncanny possibilities of familiar forms. Fargo Record Fair founder Dean Sime describes the importance of music and the joy of dropping a needle into a groove. A cat’s life approaches mythic proportions. A bloodstained genre mash offering life lessons in demonic cats, dubious landlords and overbearing mothers.